I don’t get asked many questions about Fixed Income portfolios since most of my clients are in the Accumulation (read: pre-retirement) Stage. 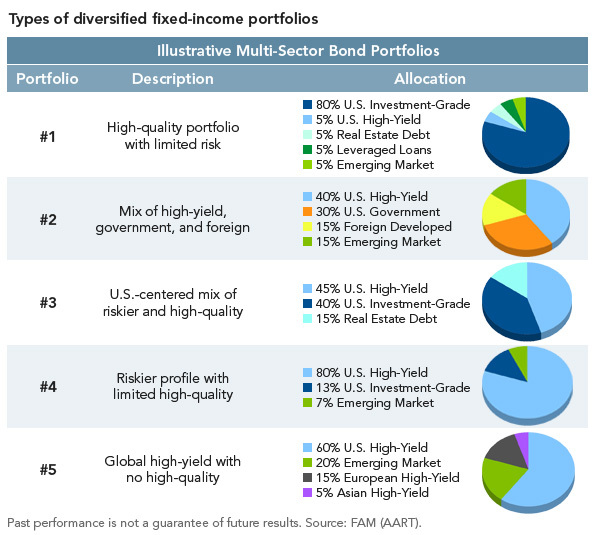 But I did find this sampling of Fixed Income portfolios an instructive illustration of the spectrum of diversification available for those needing fixed income. NOTE: I can’t say this strongly enough: This is not in any way me advising on any of these examples. 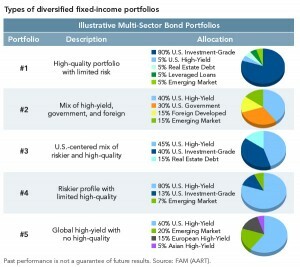 I post this to serve as very high level information on what diversification within a Fixed Income portfolio might look like. What Did 2007-2010 Look Like For U.S. Workers > or = 55?